© Sidewalk Hustle. Retrieved on November 20, 2017. For Glossier, social media has been a main attribute of the brand’s marketing strategy. After building an online community, her customers lived on social, and her products are visual by design, which meant that, with the right tools in place, sites like Instagram could become Glossier’s R&D lab and marketing platform (Giacobbe, A. (2017, August). Thanks to social media, customers can provide more accessible product reviews which can easily spread the word of mouth of the brand. In addition, the use of two-way communication between its product team and followers has become a fan favourite amongst users. When she first launched the product on Instagram, she solicited feedback on everything from packaging to branding by snapping pictures during the product development process and encouraging followers to respond with their opinions through likes and comments on her posts (Lui, A. (2015, September). Shortly after the launch, Weiss invested in technology and data analytics that would study Instagram and other social platforms, measuring not just how well certain Glossier posts performed but how well each product performed (Loizos, C. (2017, February). Using this information helped the marketing team create more effective and powerful content. © The Pool. Retrieved on November 20, 2017. Glossier grossing sales has been successful when following the basic social media model. With the growing online industry, the company was only available online and was easily distributed to the “Into the Gloss” community. “ITG took advantage early on of social media and its cult following by amplifying the #ITGTopShelfie hashtag that allowed normal women to be discovered and interviewed (Forbes (2017, March) Customer engagement was important to Weiss, she wanted to make sure that all customers would be heard. By using Instagram, her marketing, editorial and customer service teams take turns responding to all comments publicly or by direct message. © LinkedIn. Retrieved November 20, 2017. Glossier’s marketing has been a huge part of the company’s success story. They have achieved the balance between original content and user generated content. Customers want to be apart of the experience and feel like they are apart of the marketing team. “Many of its customers purchase its products, photograph them, then upload them to social media — often knowing Glossier will re-post them to its own accounts. In fact, she likened Glossier’s products to “crayons” for its customers (Loizos, C. (2017, February)”. Aside from user content, Glossier is focused on producing content that makes customers feel relatable. “We like to think that whenever we talk to [our customer] through captions on Instagram or through email or through copy on the site, that we’re writing text messages to a friend (Loizos, C. (2017, February)”. Staying true to that voice, has created loyalty and trust amongst customers. Glossier was able to have a successful product launch due to the marketing that was based around the beauty community. Since Weiss was already apart of the beauty community, she was able to identify the needs and wants that was missing from beauty customers. When creating a social media marketing campaign, she used the beauty community to help spread the word and get customers involved. 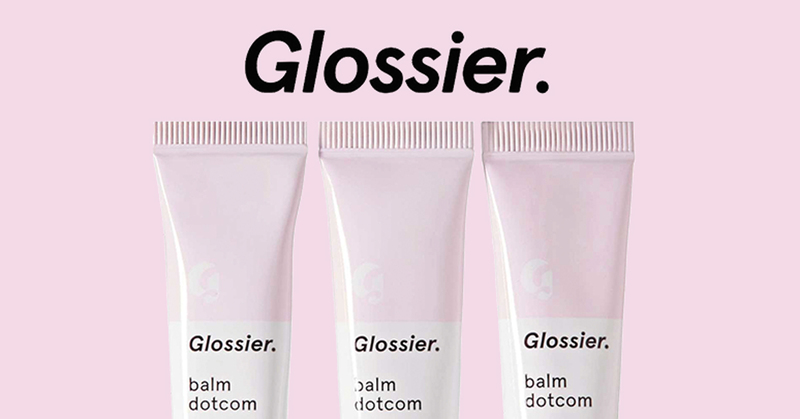 Most importantly, Glossier revolves it’s social media marketing around the needs and concerns for their customers by making sure their voice is always heard.